Is China smiling as India-Male relations sour? The row between the Maldives and an Indian company, GMR Group, over the Ibrahim Nasir International Airport in the tiny island nation, threatens to mar the otherwise friendly relations between the two countries. 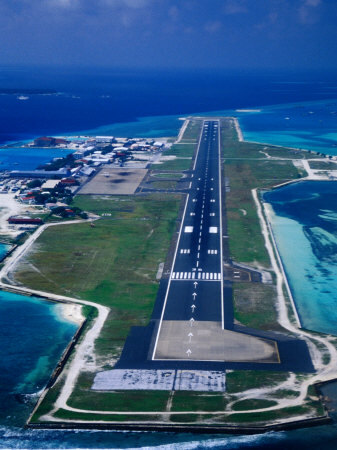 In the latest development, a higher court in Singapore ruled on 6 December 2012 that Maldives can do what it wants with the airport, which the Indian company is developing, and even take over it. If GMR has to withdraw, it will not only be a huge setback for the company, it will also dent India’s image in the region. The company, however, hasn’t specified whether it would hand over the airport by Friday, 7 December 2012, the ultimatum given to it by the Male government to vacate the airport premises. The $500-million airport project contract, the biggest Indian investment in Male, was signed by the previous government in Maldives, under then president Mohamed Nasheed. GMR was contracted to upgrade and operate the existing airport, and build a new terminal. However, ever since the change of guard in the atoll state, there has been a political uncertainty over the privatization of the airport. The new regime, riding on nationalist sentiments, had said it would “give back” the airport to the people of Maldives. Last week, the Male government terminated the contract, saying it was signed under “questionable circumstances”. The company approached the Singapore High Court, which suspended the government’s decision to cancel the project. The airport project, India’s biggest investment in Male, was awarded to the Indian infrastructure giant following a global tender floated by former president Nasheed’s administration and overseen by the World Bank. A section of Indian media has reported that China could be behind the aggressive posturing by the new regime in Maldives. Of course, China has a strategic interest in the island. India’s reaction to the latest developments has been cautious. It said they would send a negative signal to foreign investors. But if China is waiting in the wings, as some media reports suggested, then Maldives wouldn’t be worried.